Get to know the "Talented Darling ng Parañaque." Loisa Andalio quietly walked into Summit Studio in a simple white shirt and jeans on a Thursday afternoon. With her, a team of stylists, carrying a luggage full of pastel crop tops and candy-colored pumps. Not far behind were her hair and makeup artists, who lugged with them her trusty makeup kit. She greeted the Cosmopolitan team in a soft-spoken tone before she proceeded to the lunch table. It was lunch time, but she only took a peek at the slices of pizza before closing the boxes again and instead, paid sincere attention to the staff buzzing around her. She moved at a slow pace and anyone meeting her for the first time would think she's your typical dalagang Pilipina. Little did we know that we would be engaging in animated banter and boisterous laughter just minutes later, with most of the hirits coming from the teen star herself. "Gan'un talaga e, ang hirap kumita ng pera. Alipin ng salapi!" she joked when asked about her earlier sleepy disposition. Her taping finished at 2 a.m. that morning and she barely had any sleep before committing to her 12 p.m. call time for our shoot. 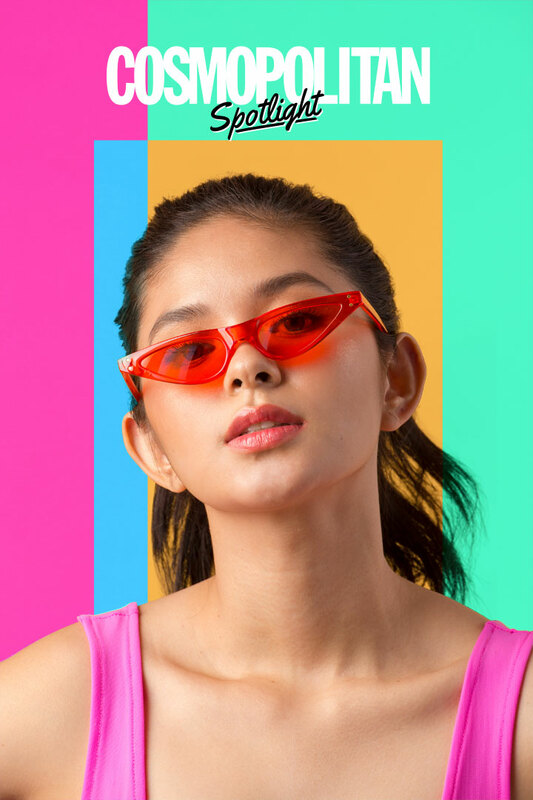 At only 19 years old and having over 3.3 million followers on Instagram alone, Loisa is officially one of Gen Z's biggest social media stars. But she also has talent and easily ticks off the boxes of being a triple threat: she can act, sing, and dance. So how exactly does she do it all and maintain a striking online presence when haters run wild and the number of likes could equate to one's level of self-esteem? Seated in her high chair while getting her makeup done, she tells us how it's done. Loisa shot to fame when she entered the Pinoy Big Brother (PBB) House in 2014 as the "Talented Darling ng Parañaque." Before her stint in PBB where she finished in fifth place, Loisa already knew what it was like to be in the spotlight. She loved singing and dancing in school and in front of her family. Shortly before she entered the iconic Bahay ni Kuya, she was also part of 3G, an all-girl performing group. "N'ung time na 'yon, binibigyan kami ng opportunity mag-peform sa iba't ibang lugar. Kumakanta, sumasayaw [kami], masaya talaga," she shared. 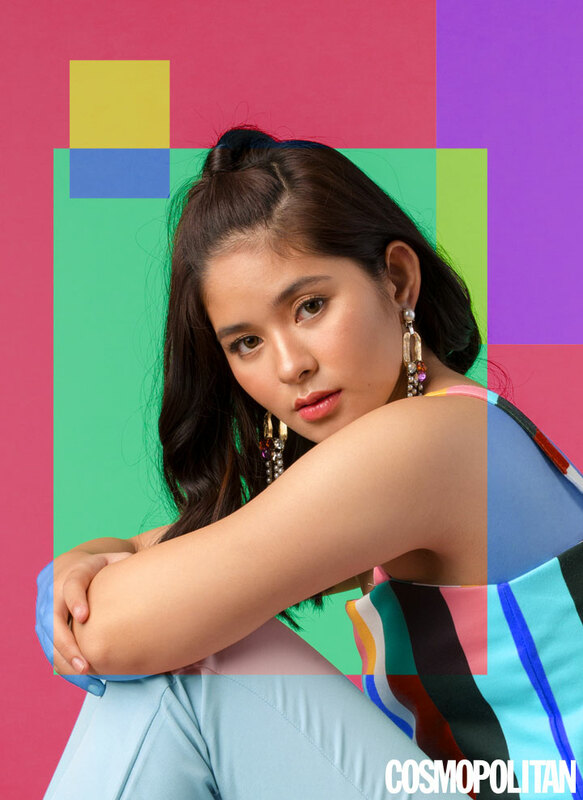 Her talent for singing and dancing did not go unnoticed; soon, she became a regular performer on the Sunday variety show ASAP where she and Maris Racal, Ylona Garcia, Andrea Brillantes, and Kira Balinger are part of the group BFF5. "Parang yung ugali ko—namin—iisa na lang." - Loisa on her character Gelli in Wansapanataym's "Gelli In The Bottle"
Aside from singing and dancing, Loisa also acts. One of her most recent acting gigs was on Wansapanataym's "Gelli in the Bottle" where she starred alongside on-screen partner and rumored beau Ronnie Alonte. The happy-go-lucky genie is a character close to her heart: "Naging close siya sa akin. Yung ugali ko, 'yon na yung napakita ko na Gelli. Parang yung ugali ko—namin—iisa na lang." It's not difficult to like Loisa, especially if you follow her online. Yes, she posts a lot of selfies but they're always accompanied with fun and totally relatable captions. "Anong tawag sa bagong CR? E 'di BaNEW!" one of her captions read. In another post, she wrote, "Eye bags for sale," which was possibly from playing Mobile Legends, her current gaming obsession, the whole night. "Minsan pampatulog ko 'yon. Kung 'di ako makatulog, umaabot ako n'un nang alas kwatro! Minsan na-try kong mag-ASAP ako nang walang tulog," she said. She claimed that this mobile game is also the reason why she could stay thin, despite her unhealthy diet of baked macaroni and hot dogs. "Mag-ML ka. 'Pag natatalo ka, syempre maglalaro ka uli. Tapos makakalimutan mo na kumain!" Despite her flattering OOTDs, Loisa is actually unnervingly normal. Like most girls her age, she is conscious of her figure and looks. "Wala, ang taba ko na ngayon. Ayoko magbigay ng tip [for slimming] ha," she even said. But it's this raw honesty that just makes her more endearing. In her Instagram posts, we could see that Loisa isn't afraid to let loose and have fun with her captions and poses. She also said that she manages her social media feed by herself because she loves interacting with her fans. "Siyempre 'pag may nakita kang tweet nila, lalo na kung tanong, syempre rereplayan mo. Tao rin naman sila e. Kumbaga, kung 'di rin naman ako artista, kung may tanong, sasagutin ko," she said very matter-of-factly. Thankfully, most of the messages she gets are positive comments, but she does encounter the occasional basher. "Bina-bash ko rin sila!" she said, laughing. "Joke lang, joke lang!" She confessed that when she just got out of the PBB House, she was really affected by negative comments. It took some time before she got used to them and learned to ignore them eventually. "Ngayon, wala na talaga. As in wala na akong pakialam. Minsan natatawa na lang ako sa kanila kasi kawawa naman 'tong mga taong 'to walang alam. Kasi yung bina-bash nila o sinasabi nila, 'di nila alam," she said. As for those who hate-comment to be noticed, Loisa explained: "Siyempre 'pag pinansin mo naman, 'Ay pinansin ako. Isa pa nga.' So 'wag mo na lang pansinin," she added. Loisa also bemoaned the lack of time people spend living their own lives vs. the hours they waste online. "Wala na tayong time para sa personal na buhay natin, yung mga nakakasama natin. Minsan nga umuuwi ako sa bahay, naaabutan ko silang lahat, nagce-cellphone! Anong nangyari? Kinain na kayo ng sistema!" On the upside, as an artista who is always out for shoots, she values the ease of communication she can have at the click of a button, especially when it comes to family and friends who are far away. "Basta may load ka lang saka may data ka, makakausasp mo na yung pamilya mo na nasa malayo. 'Di ba dati kasi kailangan mo pa ng card? E ngayon 'di ba message ka lang sa Viber, kahit saang bansa, okay ka na," she said. Still, nothing beats face-to-face bonding. She and her group of friends from her elementary school days still hang out in her condo. Other times, they drive around or tag along with her during shoots, and, obviously, play online games together. "Kahit nasa malayo silang lugar, pwede kayong maglaro tapos magkakampi kayo. Parang bonding din naming mga magkakapatid at magkakaibigan." In an interview with Boy Abunda, Loisa claimed that she can take 100 selfies in a day—but that number is lower now. "Ngayon, mga 25 na lang," she said, before revealing her secret on capturing the perfect selfie. As an Ever Bilena endorser, this girl knows how to flaunt her best angle. "Siyempre angguluhan mo 'yan. Pakita mo yung malakasan mong jawline! Alam naman nila 'yon, yung anggulo nila. Saka dapat ma-feel nila yung, 'Ang ganda ko!'" she quipped. The young man rumored to have captured Loisa's heart is Hashtags member Ronnie Alonte. Their unlabeled relationship is fueled by their own sweet posts, suggesting they are IG-official. BUT, are they official-official? "Hala! Isyu ka 'te! Wala 'yon! 'Sus!" she laughed with a twinkle in her eye. When asked what she likes about her ka-loveteam, she said, "Lahat. Yes! Wow!" before bursting into another fit of giggles (and visible kilig). Loisa cites how sweet Ronnie is: "Kunwari, lagi akong dinadalhan ng pagkain sa condo. After ng Showtime niya, binibigyan niya ako ng pagkain sa condo. Delivery boy pala 'no? Hahaha! Kasi pagkagising ko, sakto tapos na Showtime, magdadala na siya pagkain," she recalled. They also play Mobile Legends together, and would watch cartoons and movies on their free time. "Wala kaming nagiging problema kasi magkaugali kami. Yung trip niya, trip ko rin," she shared. Free time comes less frequently nowadays, given Loisa's busy schedule. She's not complaining, though. She knows she's doing this for her future. "Siyempre gusto ko talaga ng magandang buhay. Kasi ngayon, habang bata pa, ipon. Kasi sa akin ah, yung showbiz hindi naman permanent. Siyempre magkakaroon ka rin ng pamilya. Siyempre dapat maganda buhay ng pamilya mo." 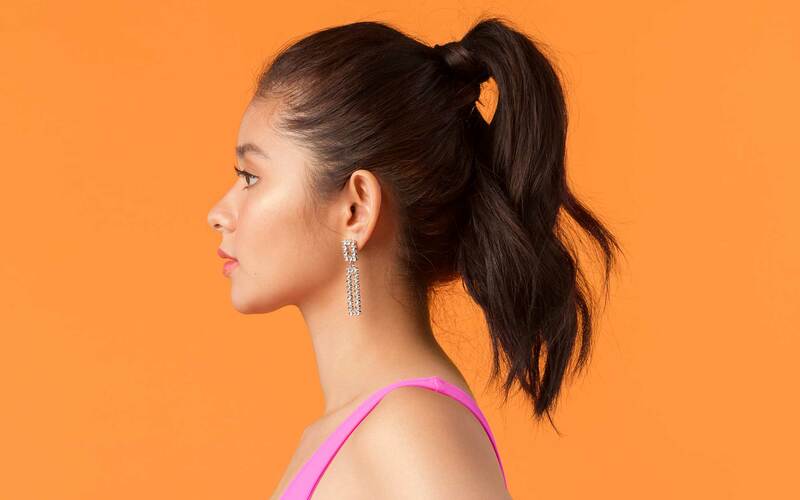 If she weren't in showbiz, she said she would've probably been a stewardess or a teacher, but Loisa knows that this industry is the ticket to achieving her dreams. "Happy naman ako sa mga ginawa ko sa buhay ko. Siguro ang pagkakamali ko lang ay yung umibig ako—ay sorry, mali! Joke lang! Siyempre lahat naman ng ginawa ko, binigay ko yung best ko." Follow Nicai on Twitter and Instagram.